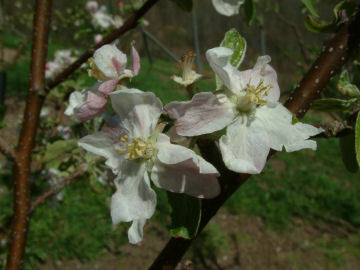 This apple is said to have originated in Indiana in the 1800’s, but was certainly grown in the southern Appalachians for many years prior to this time. 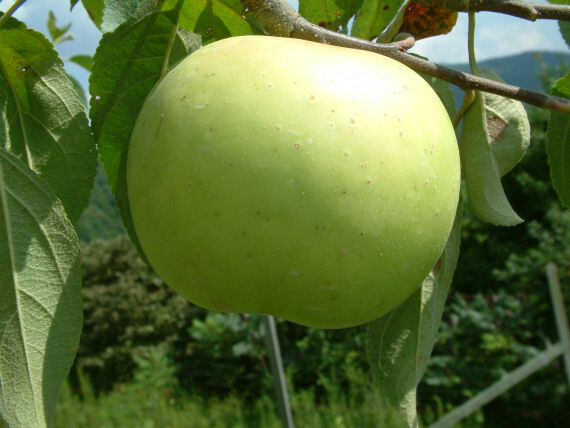 This large, roundish apple has green skin which turns a greenish-yellow when fully ripe. The white aromatic flesh is tender and juicy. Ripens September and is considered a good keeper.